The microprocessor-controlled Batching Master is a simple to use multifunction batcher used for the recording and controlling of flow quantities in batching and filling processes in hazardous production areas. 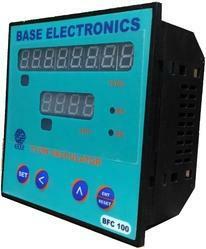 Flame Proof Batch Controller is a Digital device which is sub-categorized under Process Control Instrument. The Flame Proof Batch Controller is made for protection from hazardous areas, the protection of material depends on the Enclosure type and it is similar to flow batch controller. Weather Proof Batch Controller is a Digital device which is sub-categorized under Process Control Instrument. The Weather Proof Batch Controller is made for protection from rain, the protection of material depends on the Enclosure type and it is similar to flow batch controller. 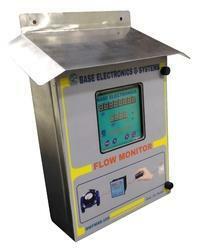 Flow Batch Controller is a Digital device which is sub-categorized under Process Control Instrument. 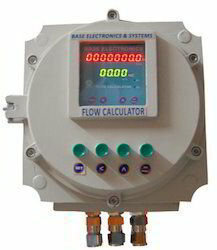 Flow Batch Controller Specially designed for the delivery of unknown quantities of product is the delivery controller which can be used for batching of Liquids. They can supervise either up to eight Batching Master or eight Pipeline Master. The metering data are stored in a database. The printout can be done after every batch or after selection in the overview. There is a database into the which stores all batch datas parallel to the print datas. In a menue it is possible to select data sets and export these. A MySQL database connection is available as option.